It’s all official: this summer I’m beginning a position as an Assistant Professor in the School of Urban Planning at McGill University. I’m thrilled about taking this next step in my career, joining a great group of urban scholars, and moving back to Montreal. A new City of Vancouver proposal to start addressing the city’s scourge of speculation-driven housing vacancy is in the news. The municipal government wants to comprehensively identify vacant houses throughout the city, building on important work being done by the grassroots group Beautiful Empty Homes but leveraging governmental data (namely from BC Hydro) that the public doesn’t have access to. Finally, as pictured in the screen cap at the top of this post, Global News bestowed on me the dubious title of “UBC Urban Geologist” in their newscast. No doubt this is some cutting edge new subfield in the discipline, but alas not one I am actually acquainted with. Municipal mergers in Metro Vancouver? 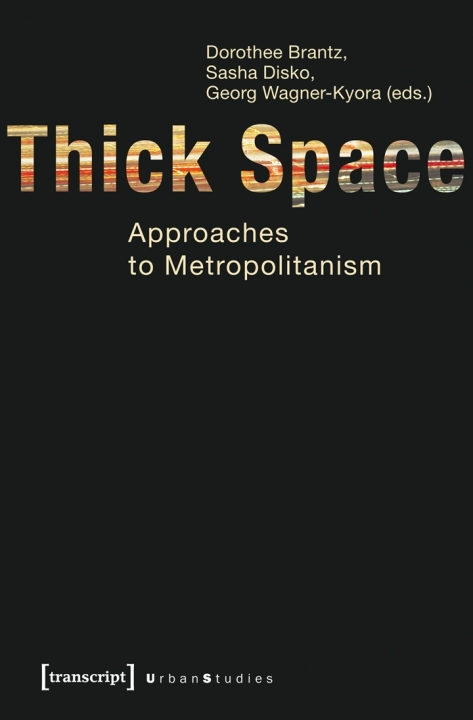 Urban Studies recently published a review I wrote of Thick Space: Approaches to Metropolitanism (Transcript Verlag, 2012). The book begins with the observation that ‘it is hard these days to ignore the growing buzz about metropoles’ (p. 9). Is that true? Is the buzz growing? A careful reading of the last decade of urban studies would suggest instead that it is a new set of polycentric and unruly urban forms – megalopolises, mega-cities, megaregions, city-regions, mega-city regions and the like – which are ascendant, and which indeed are actively transforming yesterday’s metropolises into something new and not yet properly understood. Hegel famously observed that the owl of Minerva only spreads its wings at dusk. Thick Space may be the metropolitan owl of Minerva, shedding retrospective clarity onto an urban phenomenon even as the latter evolves beyond recognition. The full text of the review is available at Urban Studies. 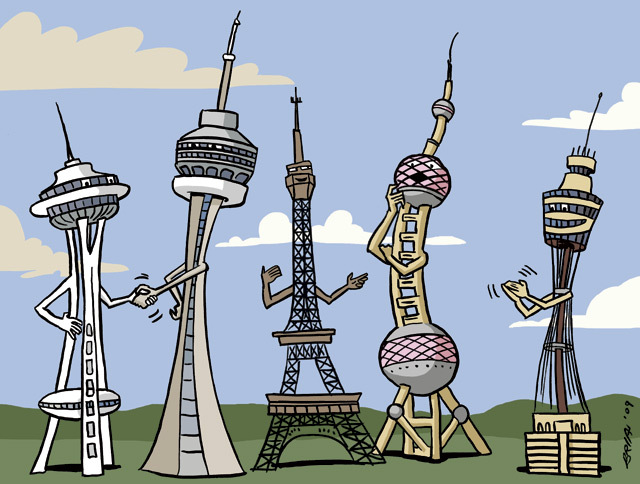 Can we take a less global-city-centric approach to urban entrepreneurialism? The annual meeting for the Association of American Geographers is coming up in a few weeks, and I’m getting my paper presentation prepared. The talk I’ll be giving is part of a paper session titled “Revisiting Entrepreneurialism: The Logics of Urban Governance in Systemic Crisis”, and looks like it will be an interesting set of papers. A key premise of urban entrepreneurialism is the ubiquity of local growth coalitions—the fact that a coherent group of local elites is able to assemble to advance its common place-bound interests through market-oriented governance strategies. And indeed, much of the explanatory strength of theories of urban entrepreneurialism derives from the historical unity of cities in the Global North both as common labour and property markets and as institutional arenas for local politics, a unity which has traditionally given rise to strong local growth coalitions. But in this paper, I argue that this unity is disintegrating, and is giving way to conditions of endemic growth coalition instability. Despite the persistence of imperatives towards local entrepreneurialism, local elites are increasingly forced to look for new institutional configurations to address the regulatory problems they encounter at the local scale, and the result is a proliferation of governance strategies at multiple spatial scales. This paper explores the contours of growth coalition instability through a comparison of emerging multi-city economic partnerships uniting growth coalitions across multiple cities and regions in the United States, and concludes by taking stock of what we might term a new “post-city politics”. The session is Thursday, April 23 at 8:00 AM in Skyway 272, Hyatt, East Tower, Blue Level. I’ll also be a panelist later that day on a similar theme: “The Entrepreneurial City Reconsidered: New Agendas and Diverse Geographies”. The panel is Thursday, April 23 at 1:20 PM, also in Skyway 272, Hyatt, East Tower, Blue Level. Finally, I will be a discussant for one session of a multi-session extravaganza on “The Urban Political at a Time of Late Neoliberalism”, organized by Theresa Enright and Ugo Rossi. My panel is called “Repoliticizing the Urban Political”, and it is Thursday, April 23 at 5:20 PM in Columbus G, Hyatt, East Tower, Gold Level.